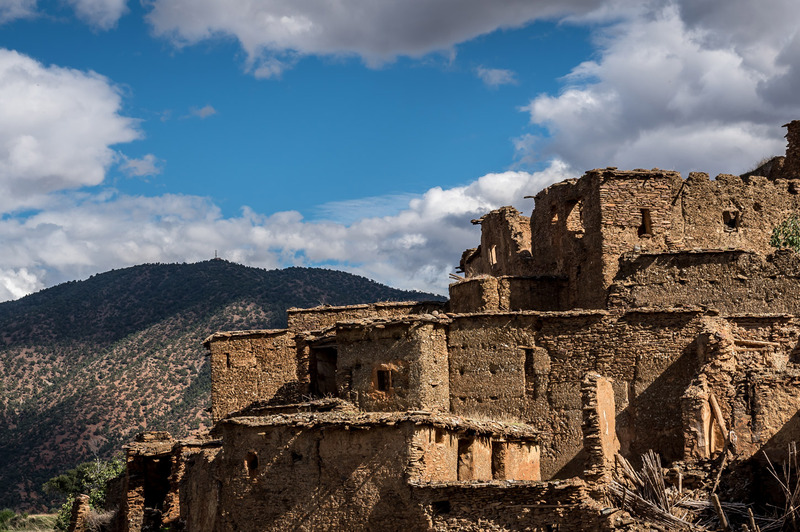 Take off from the Jbilets foothills to the North of Marrakech and rise above the city as it wakes up from the shadow of the Atlas. Witness the sunrise on the horizon to better discover a lunar landscape in the morning stillness and admire the contrasting views between snowy peaks and arid lands. Spend a unique, humbling and enriching moment halfway between heaven and earth, so far yet so close to Marrakech. This early morning experiment was designed to be shared as a special moment for two or smaller groups, please be sure to contact us well in advance for larger groups to ensure availability. As the saying go: the early bird gets the view! 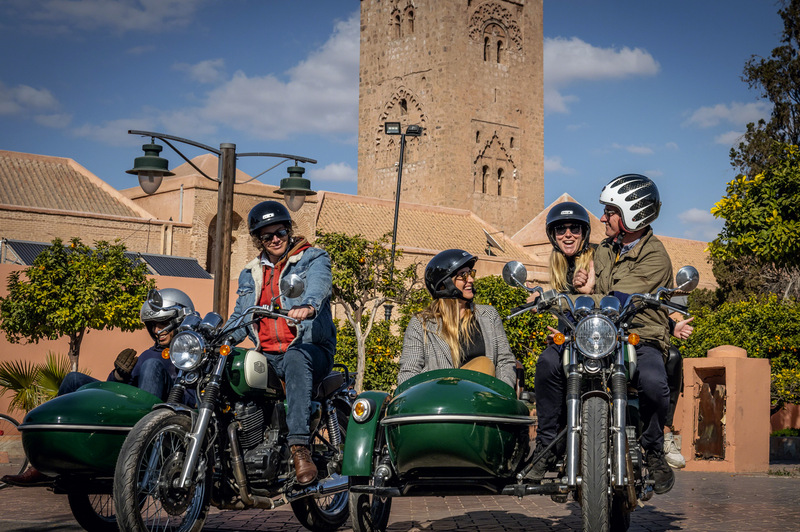 From take off to ‘kiss landing ‘, enjoy the grandeur of Marrakech and its surroundings in a full up and down 360 degrees landscape which reveals itself openly to you from a balloon. The flight is not considered an extreme experience, but rather, it is a gentle, contemplative moment, with little to no dizziness. Our team of rigorous and methodical pilots welcome you with mint tea of course! For those with a sweet tooth, we offer a royal flight, just for you, in private, with a luxury breakfast served aboard by your very own pilot ... What more could you ask for? Discover Marrakech from the sky with our hot air balloon tours! A unique and exceptional way to discover the red city, by taking a little height thanks to our balloon flights. Magical moments that you will never forget. 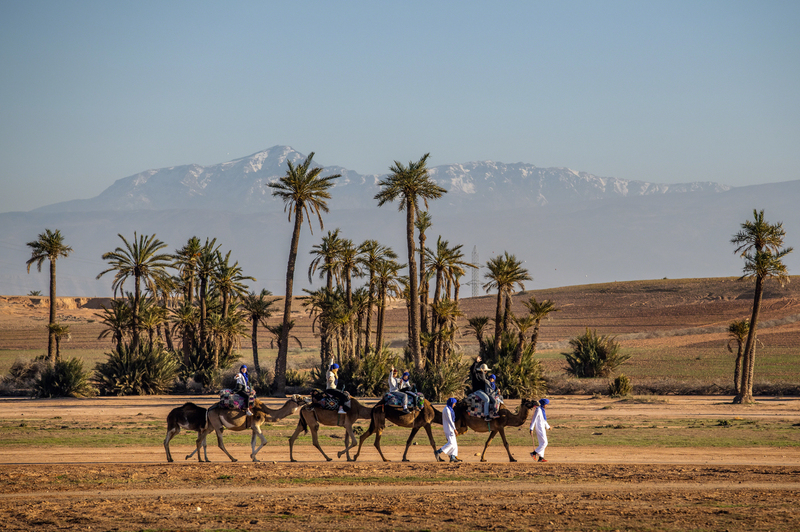 The activity lasts a total of half a day, and the flight itself lasts about an hour (depending on weather conditions) and will offer you an amazing view of the surroundings of Marrakech. You will then enjoy a tea break under a Berber tent in the desert before heading back to the red city. A magical experience, to do at least once in a lifetime! Why choose Dunes & Desert for a hot air balloon ride? 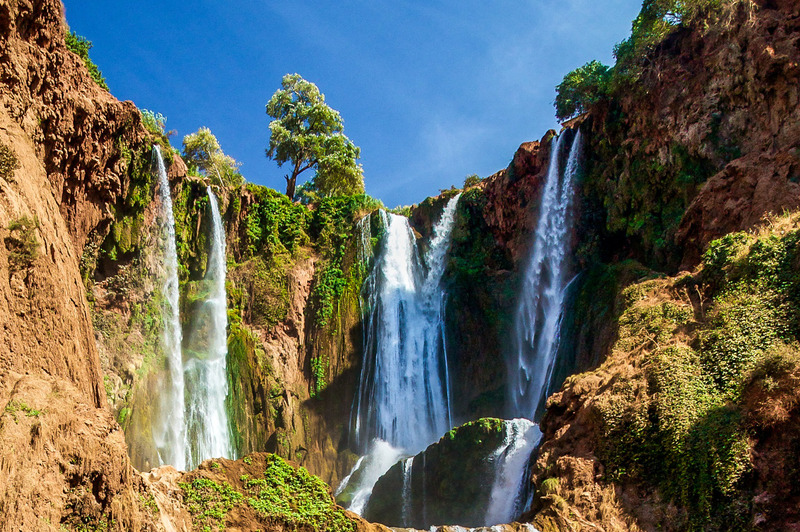 1 / To admire breath taking landscapes: from the sky, discover the most beautiful landscapes of Morocco! A 360° view of the Atlas Mountains (and snow-capped mountains in winter), the Jbilets desert north of Marrakech, the Berber villages and the architecture of the red city below… The first part of the flight takes place at high altitude to allow you to admire the exceptional panorama of the region and the Atlas Mountains (visibility depending on weather conditions), and the second part of the flight takes place at low altitude, so you can enjoy the view of villages, oasis, desert, farms and even domestic or wild animals! Do not forget your camera! 2/ For service : Dunes & Desert Team is at your service, listening at your requests. A team of almost 10 people in our office to reply to your emails and answer the phone. 4 / For comfort: we pick you up at your hotel / riad (or the nearest car park) to take you to the launch site in the Jbilets desert. You can then attend the preparation and inflation of balloons until the start of the flight! 5 / For safety: our balloons are in perfect condition and checked every 6 months to guarantee a maximum level of security. All our drivers have a valid European license in good standing and have a homologation for flights to Morocco. 6 / For souvenirs: we give you a flight certificate in your name at the end of the activity to remember forever this unforgettable moment. New: discover our “ROYAL EXPERIENCE”, a balloon flight in private tour, with only the pilot and a waiter on board. On the agenda of this exceptional day: a luxury 4×4 picks you up at your hotel / riad, you enjoy a mint tea at the launch base until your private balloon is ready, before enjoying your flight about 1 hour, with cold drinks, catered breakfast served at table in the sky, and even wifi on board! The perfect activity for a special or romantic moment, such as a wedding proposal for example. Dunes & Desert is a fun activities designer, specialized in hot-air ballooning, mountain hiking, camel rides, quad and buggy tours, mountain bike trips and many other leisure activities. 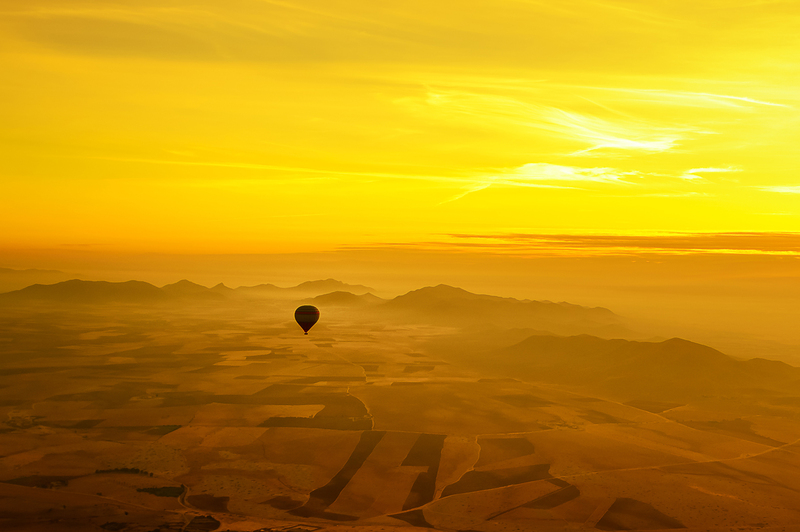 We offer balloon flights at sunrise to discover Marrakech and its surroundings from a unique angle: seen from the sky! With several hundred positive reviews on Trip Advisor, our reputation is well established in Marrakech. 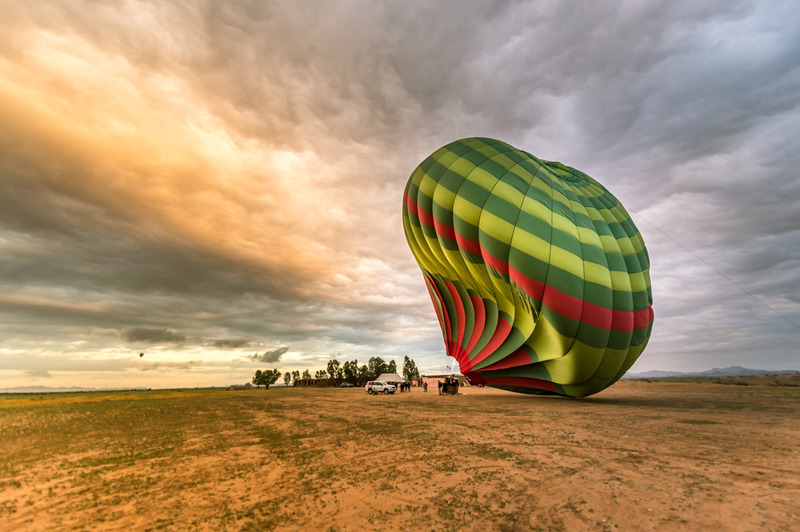 Choosing a hot air balloon ride with Dunes and Desert is the guarantee to spend an unforgettable and safe moment!